We have these amazing new victorian boots made in Spain from the top shoe factory in the world. 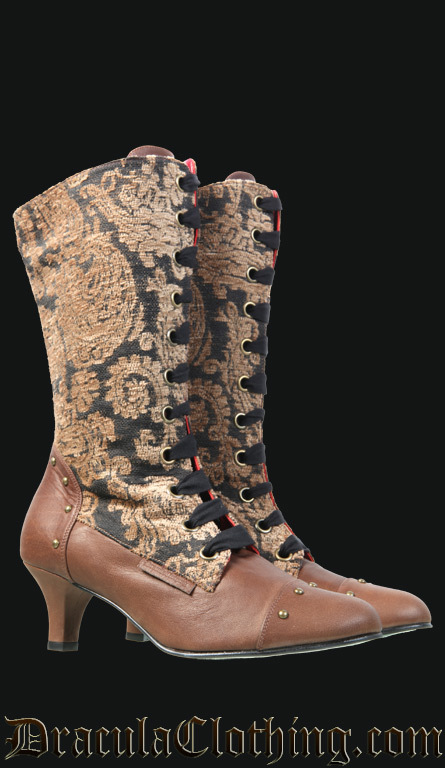 High quality leather boots with jacquard brocade with velvet details. We wanted to make the best boots possible.